Mike Mallaro is CEO of VGM Group, Inc. where he led the development of the employee stock ownership plan (ESOP). 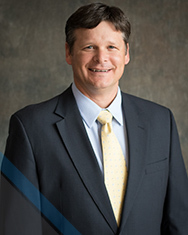 He began his tenure at VGM in 2001, serving as CFO until becoming CEO in 2016. Prior to VGM, he was CFO of a regional off-price retailer. He also spent twelve years as a CPA in an international accounting firm. Mallaro frequently speaks at regional and national conferences on topics including health care trends, financial benchmarks, business plan optimization, and strategic growth. He holds a BBA in accounting from The University of Iowa, as well as CPA (inactive) and CMA designations. He can be reached on LinkedIn or at [email protected]. 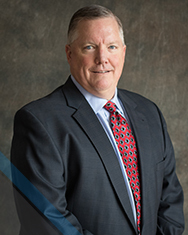 Board Chairman and General Counsel, VGM Group, Inc.
Jim Walsh is board chairman and general counsel of VGM Group, Inc. As an original investor, Jim has been involved with the company since the late Van G. Miller founded it in 1986. Ten years after his initial investment, Jim became VGM’s corporate counsel, a director of all its companies, and a frequent source and consultant to members of VGM-sponsored companies. Jim is also one of three co-trustees who serve as the governing board for VGM’s ESOP. 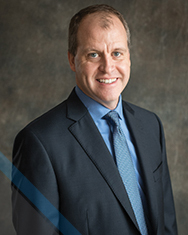 Chief Financial Officer, VGM Group, Inc.
Jim Nygren is the chief financial officer of VGM Group, Inc. and steward of accounting and treasury operation. He’s the lead financial voice of the company and provides vital strategic, analytical and financial perspectives for the VGM family of businesses. Jim joined VGM in 2014 and has held positions in VGM Marketing and most recently as the vice president of Business Development and Marketing at HOMELINK where he oversaw the expansion of solutions and network development for Workers’ Compensation and Group Health payers. 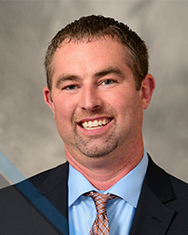 Jim holds a BAA in Finance from the University of Northern Iowa and an MBA with an emphasis in Finance from Iowa State University. Chief Information Officer, VGM Group, Inc.
Jeremy Kauten, chief information officer and senior vice president of information technology at VGM Group, Inc., has spent his entire career in the cyberworld. He currently focuses on protecting computers, networks, programs, and data from unauthorized access, change, or destruction. In addition, he coordinates the optimization of technology throughout VGM’s business units. Jeremy's involvement at VGM started in 1997 where he committed himself to growing VGM Forbin and positioning the organization as a leader in health care web development and online security. He is a regular contributor to the trade press and is a frequent technology speaker at industry events. Jeremy pursued his Bachelor's degree in Marketing and Business Management from Upper Iowa University and Computer Information Systems from the University of Northern Iowa as well as his AAS in law enforcement. 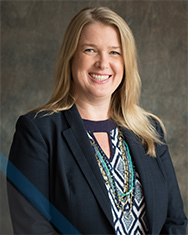 Christa Miehe is president of Marketing and Shared Services for VGM Group, Inc. In this role, Christa guides company strategy to coordinate and execute various marketing and certain shared internal services across VGM’s divisions. Businesses included in Marketing and Shared Services are VGM Forbin, VGM Marketing, Strategic Imaging, Facilities, Events, Strategic Planning, and Project Management. Christa has been with VGM since 2002. 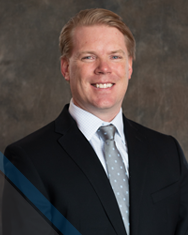 As president of VGM & Associates, Clint oversees all of the specialty health care groups, including membership, under the VGM Group, Inc. umbrella of businesses. These divisions include VGM’s Contracting Team, The van Halem Group, U.S. Rehab, Live at Home, Orthotic Prosthetic Group of America, Essentially Women, VGM Government Relations, People for Quality Care, Nationwide Respiratory, Freedom Link, VGM Alternate Care, VGM Retail, VGM Home Infusion, VGM Wound Care, VGM Market Data, and the Reimbursement Team. Clint has been with VGM since 2012. Dave Kazynski is president of HOMELINK, a subsidiary of VGM Group, Inc. He has served in this capacity since helping the late Van G. Miller develop the HOMELINK network for VGM’s HME members in 1993. More than 20 years later, the network, which connects payers to credentialed, community-based providers, has expanded to include home health; complex rehab technology; orthotic and prosthetic services; transportation; breast pump program; accessibility modifications; physical, occupational, and speech therapy; and hearing health care. Mike Kloos is president of VGM Insurance Services, a division of VGM Group, Inc. 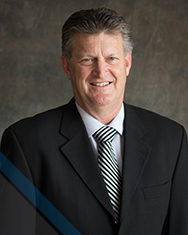 Since 2013, Mike has overseen the growth and diversification of VGM Insurance Services and its affiliated companies, which include VGM Specialty Underwriters, with offices in Merriam, Kansas, and Phoenix, Arizona; PT1 Insurance Solutions, based in North Liberty, Iowa; and Affinity Club Underwriters, based in Morristown, New Jersey. 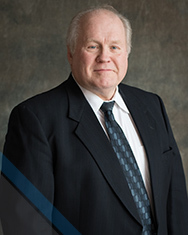 Along with overseeing VGM Insurance, Mike also serves as co-trustee of VGM’s ESOP. Mike joined VGM in 1994. Sara Laures is the senior vice president of people and strategy for VGM Group, Inc., where she oversees human resources, talent acquisition, organizational development, facilities management, corporate planning and manages strategic projects that support the success of VGM’s 27 businesses and 900+ employees. A 20-year associate of VGM, her career has included multiple roles in VGM businesses, including a 14-year term as the vice president of VGM Education. 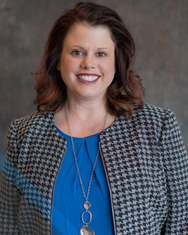 Sara has a bachelor’s degree in health services administration from Upper Iowa University and is an active member of the Strategy Leadership Council, National Society for Human Resource Management, Cedar Valley SHRM and the Gartner HR Leadership Council. Sara also serves on the Cedar Valley Alliance’s Economic Inclusion Partnership. You can follow Sara on LinkedIn or reach out to her at [email protected].